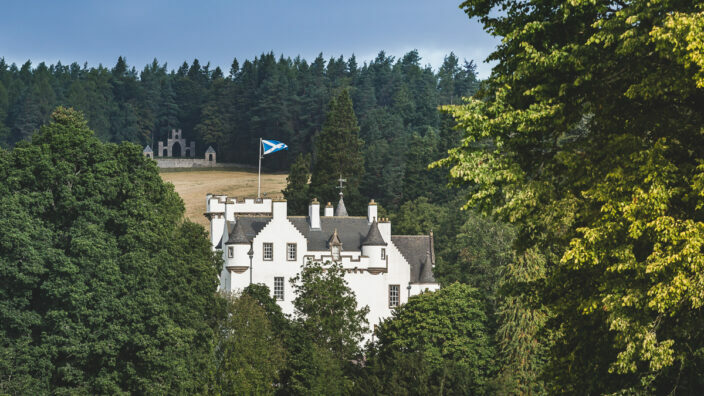 Our camping pods are the newest addition to the park and currently we have six over-looking the riverside area with beautiful views south to Tulloch Hill. 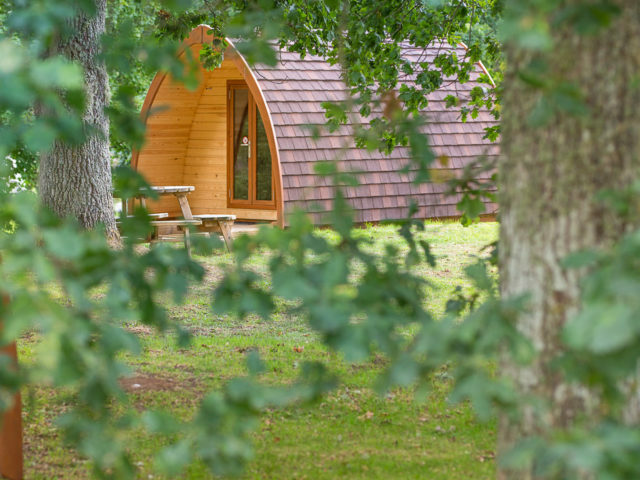 Despite being in a quiet and private area of the park, the pods are only a few minutes walk from the nearest shower block. 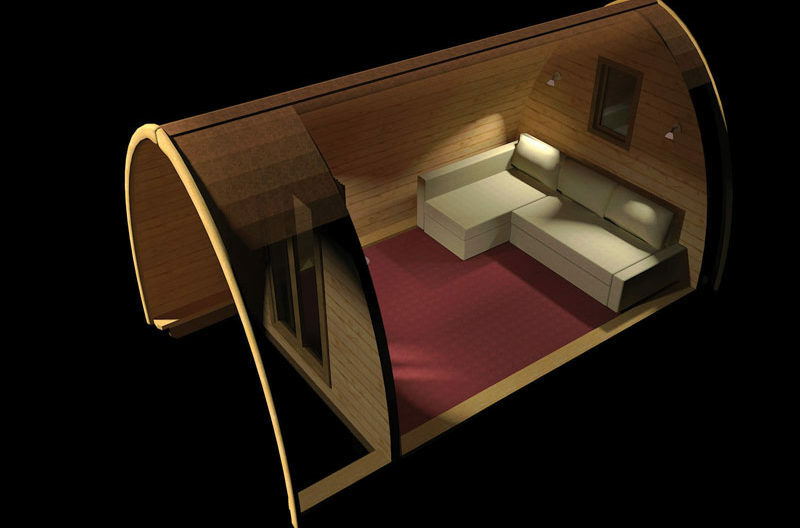 A pod offers the feeling of camping with the comfort of a solid, waterproof roof and heat! 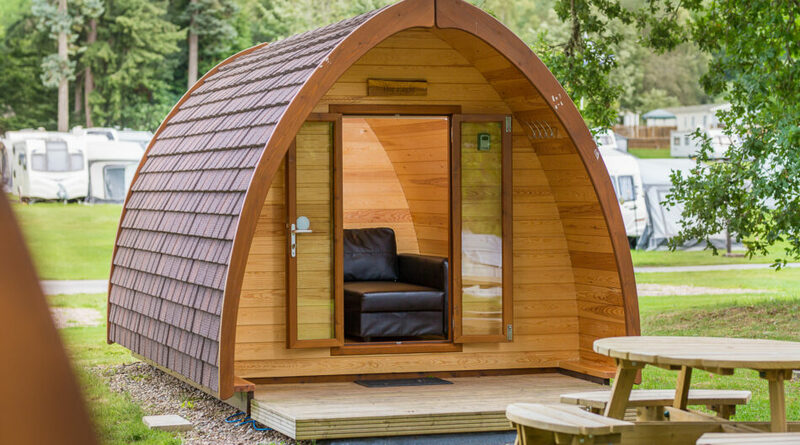 Each pod is 9ft x 15ft in size and has electric lighting, heating, electric sockets, wifi (tariff based) and a sofa bed. The sofa beds sleep two adults. 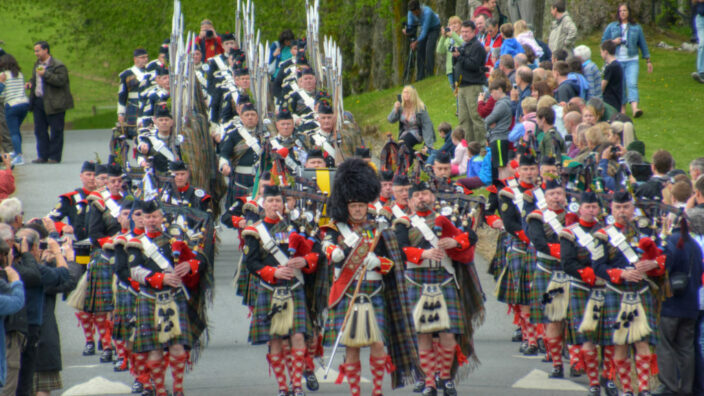 Guests should bring their own bedding or sleeping bags and camping supplies. 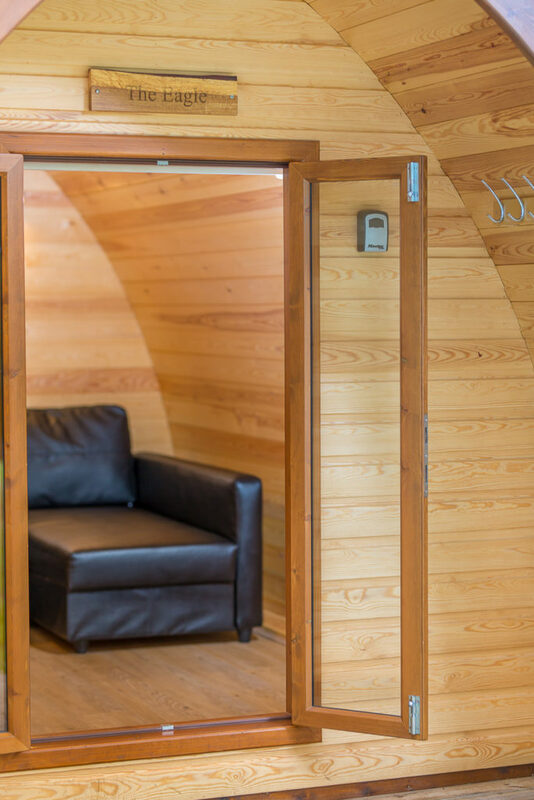 Up to two children aged under 15 can camp on the carpeted floor of the pod and we suggest bringing an inflatable mattress for comfort. 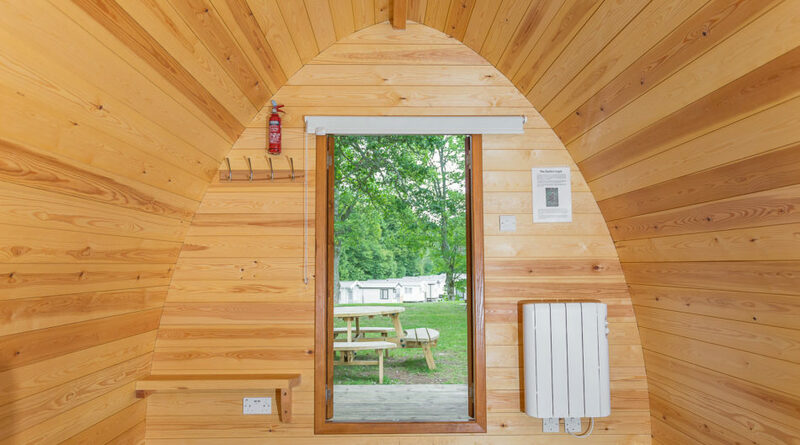 Each camping pod also has its own area for guests to sit outside and there is plenty of room in front for a barbeque, weather permitting.